Mathematics to me is humanity’s effort to find absolute truths and to approach reality. Stochastic processes in particular illustrate perfectly the regularity to be found even in chaos. Maria Vlasiou is an Associate Professor in the Department of Mathematics and Computer Science at the Eindhoven University of Technology (TU/e), a scientific staff member at CWI, the national research institute for mathematics and computer science in the Netherlands, and a research fellow of EURANDOM, the Dutch the workshop centre focusing on statistics, probability theory and stochastic operations research. Her research centres around stochastic processing networks with unusual architectures. Other interests include perturbation analysis for heavy-tailed risk models, Lévy processes, large deviations for non-monotone stochastic recursions, and proportional fairness in heavy traffic for bandwidth-sharing networks. In stochastic processing networks, Vlasiou works on developing methods and algorithms to analyse the performance of stochastic processes acting on new architectures of layered networks. In perturbation analysis, she has developed exciting new algorithms for actuarial and financial mathematics problems that settle the quality of approximations for ruin probabilities under heavy tails. Her work on proportional fairness in heavy traffic for bandwidth-sharing networks has resolved an open conjecture of Kang, Kelly, and Williams. Maria Vlasiou received her BSc (2002, Hons.) and PhD (2006) from the Aristotle University of Thessaloniki and TU/e, respectively. In 2006, she moved to the Georgia Institute of Technology, where she worked as a Research Engineer and as a Postdoctoral Fellow. Her research has been funded by grants from more than 10 science foundations and organizations. Dr. Vlasiou serves on the editorial boards of IISE Transactions and of Mathematical Methods of Operations Research. 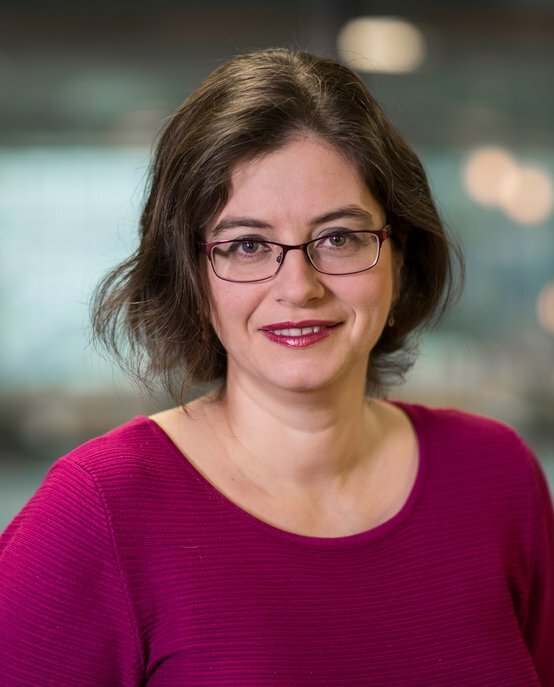 She is also the president of the executive board of the European Women in Mathematics – The Netherlands (EWM-NL), the Dutch association of female professional mathematicians. In addition, she is a member of the scientific advisory board in mathematics of the Lorenz Center, the Dutch international centre for scientific workshops.